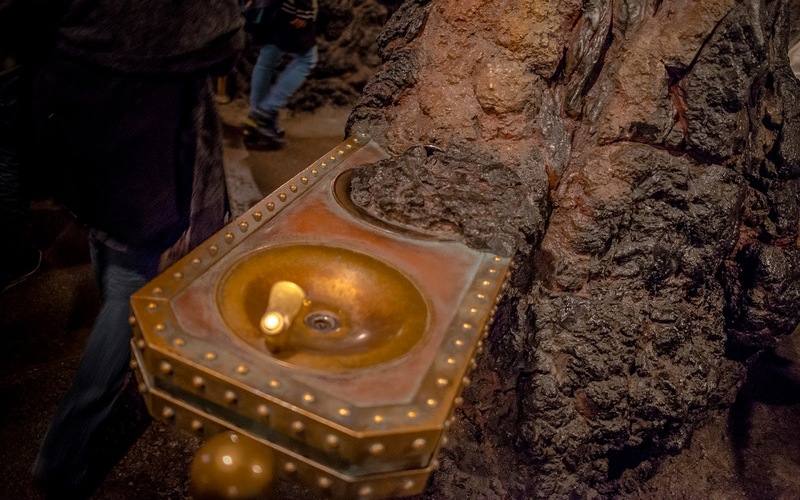 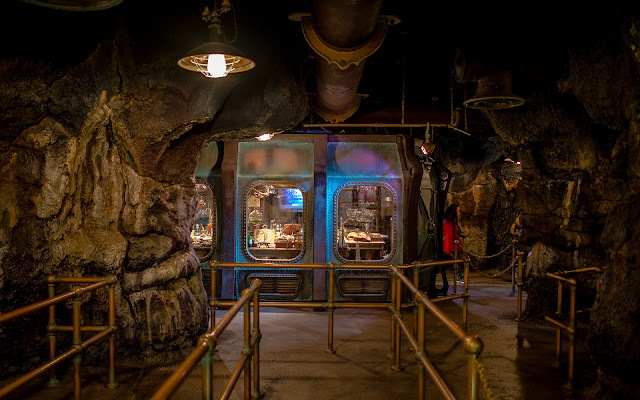 I have written countless times about how detailed Tokyo Disney Sea is, and the line into Journey to the Center of the Earth is a prime example of this. This is one of the most popular rides in the park, and lines can approach several hours on peak days. 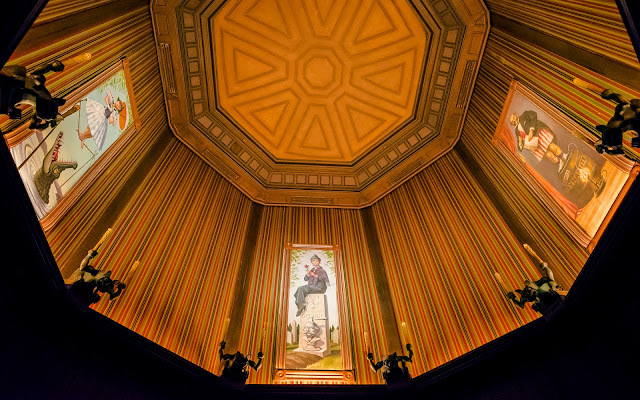 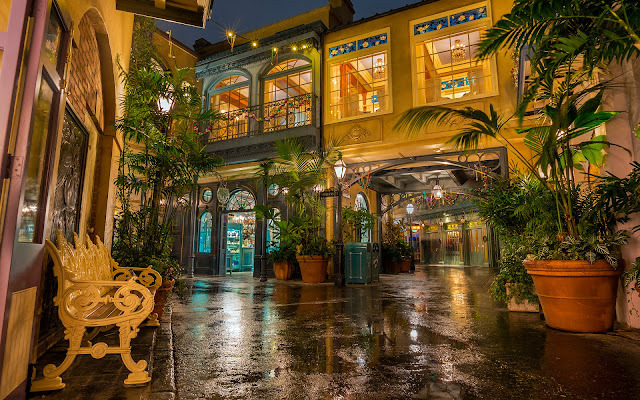 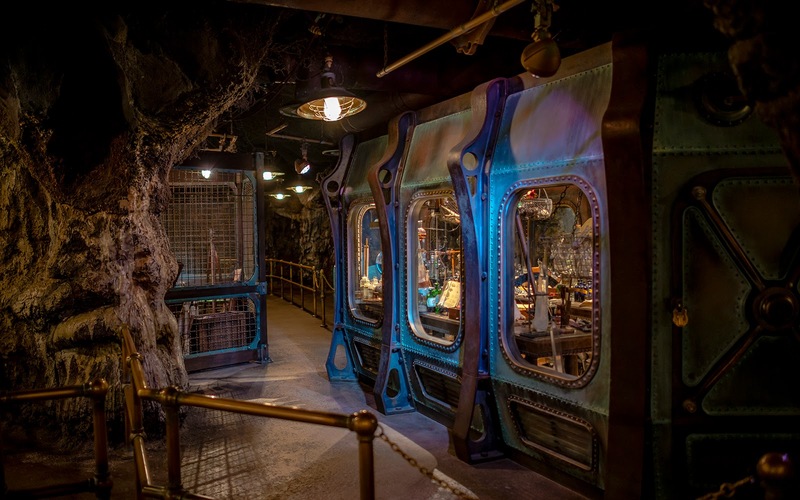 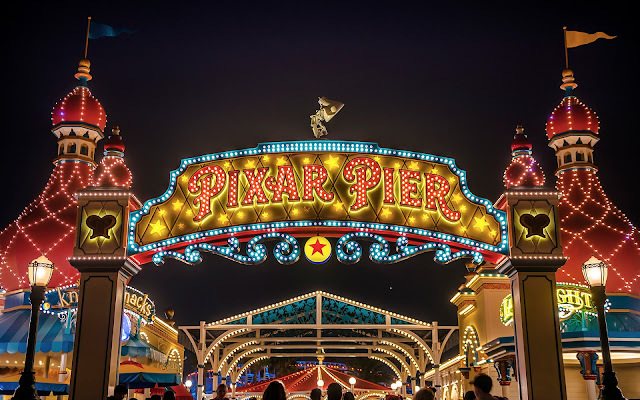 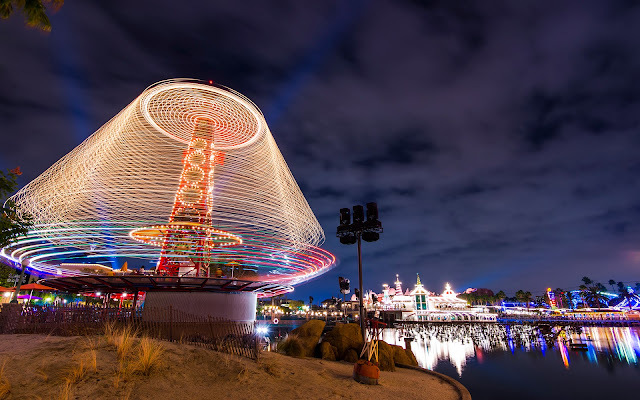 This means there needs to be a pretty lengthy queue to keep guests occupied during this time, and the immaculate theming and detail certainly steps up to the plate to do its part. 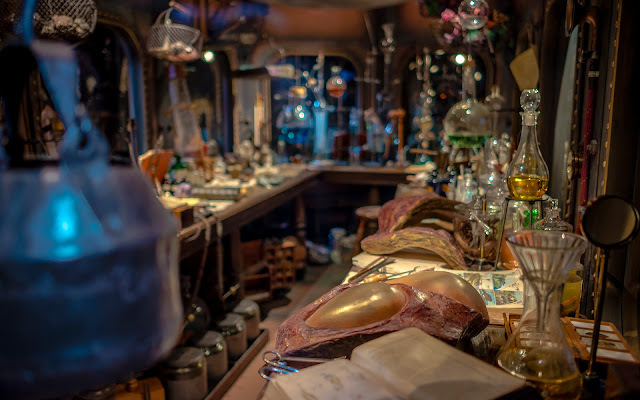 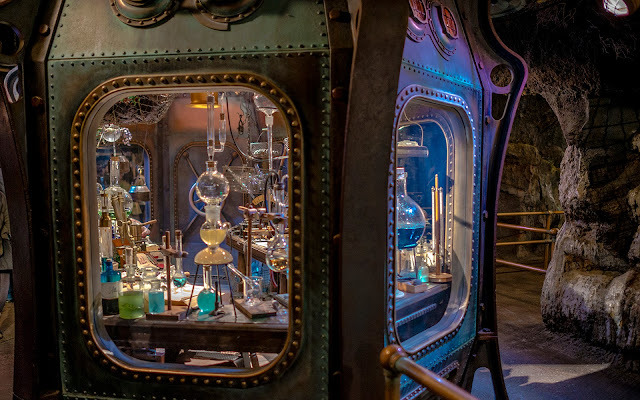 Strange laboratory displays in underground caverns create a mysterious scientific atmosphere, hinting at the wonders guests will soon be encountering. 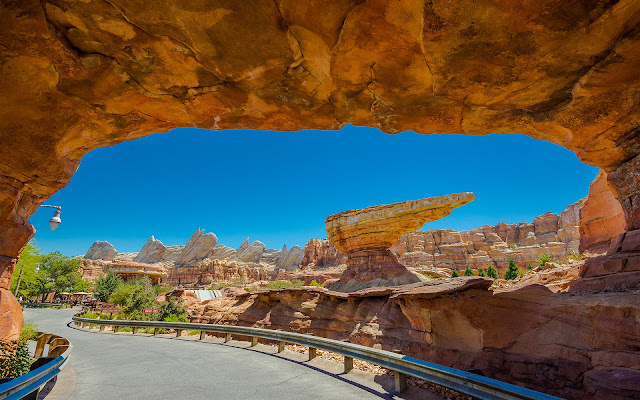 It all looks pretty surreal, which is exactly the point of the ride! 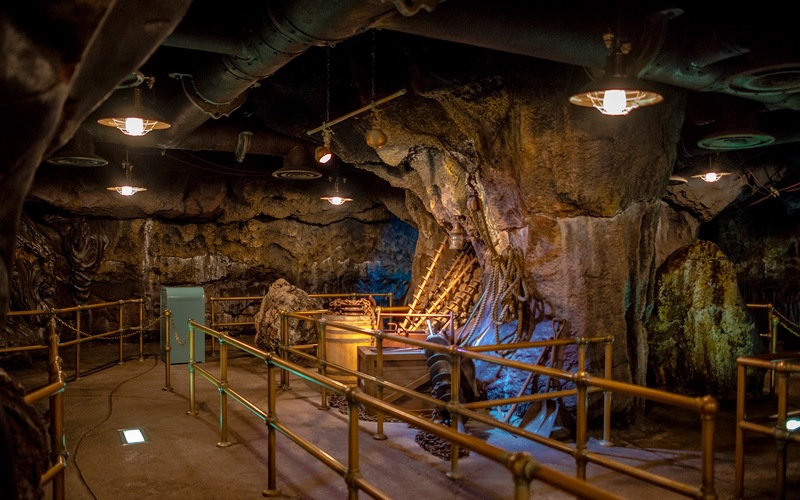 Photos of the queue at Journey to the Center of the Earth.